The Mansion Truss Bridge, crossing high above the Staunton River from Campbell County into Pittsylvania County, is a rare surviving type among Virginia’s collection of metal truss bridges. It consists of two camelback through trusses and fifteen steel-beam approach spans. The bridge was constructed by the Brackett Bridge Company in 1903 and probably replaced a covered bridge. It takes its name from the 18th-century mansion of settler John Smith that stood on a hill nearby. Its stone piers have been replaced by lolly columns, steel cylinders filled with concrete. By the mid-1990s, the bridge was targeted for replacement by the Virginia Department of Transportation. 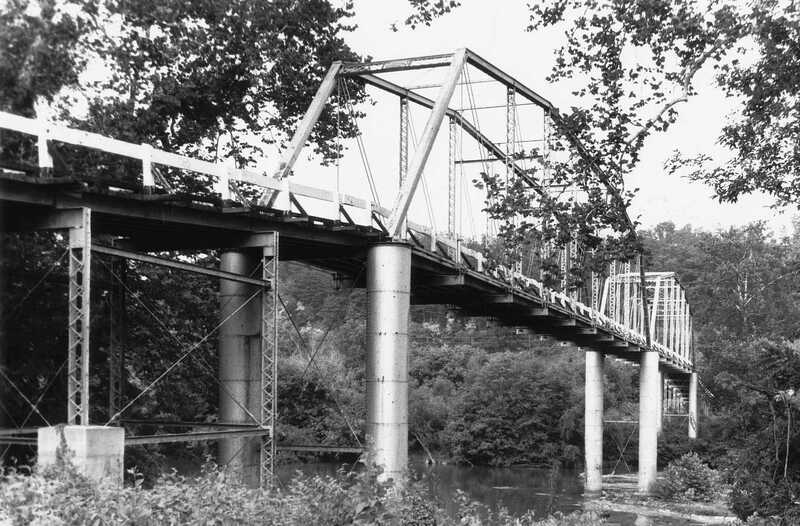 The bridge was demolished in 1999, and formally delisted from the NRHP in 2005 and the VLR in 2008.